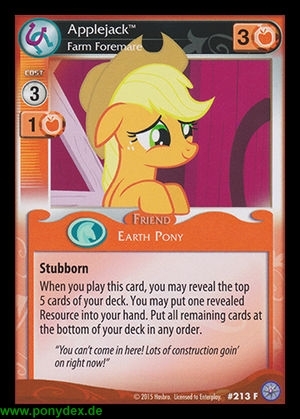 When you play this card, you may reveal the top 5 cards of your deck. You may put one revealed Resource into your hand. Put all remaining cards at the bottom of your deck in any order. "You can´t come in here! Lots of construction goin´ on right now!"